Words by Kevin Doocey on September 10, 2010 . After weeks of haggling, and negotiations, Newcastle United finally managed to bring Hatem Ben Arfa to St.James’ Park and indeed tomorrow the Frenchman will make his début for the Toon. At home to Blackpool, the scene is set for Ben Arfa to do the business alongside his teammate Cheick Tioté who also joined from Dutch side FC Twente. We can’t really expect goals upon goals from either, but hopefully tomorrow, we’ll get a glimpse of what they can both do, and Ben Arfa in particular. 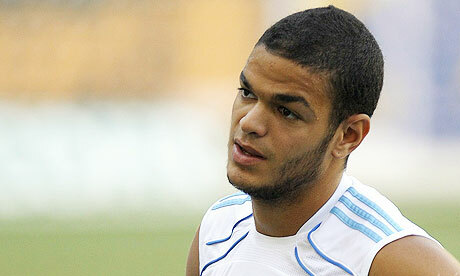 I think Ben Arfa will excite people at St.James’ Park tomorrow, if he starts, or makes an entrance into the fray. He will get the ball and run with it, and more importantly - run at defenders looking to break through their rear-guard. As long as he adds some flair to the side then we’ll be happy, because we all know what he’s capable of. He can be one of the best in Europe on his day, and that’s not word of a lie. Kick-off for tomorrow is at 3pm, so be sure to watch the lads hopefully get all three points in front of a near full St.James’ Park!